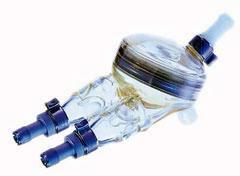 Synthetic replacements for cardiac valves. 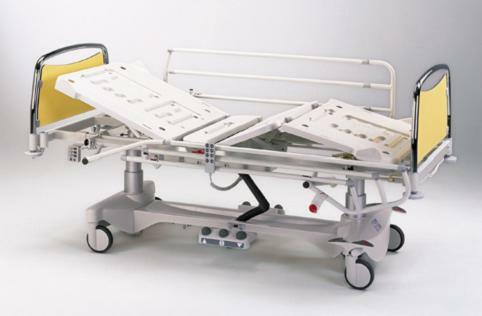 These prostheses are available in different materials and configurations (caged ball, tilting disk, and leaflet), depending on type of valve to be replaced, and patient characteristics. 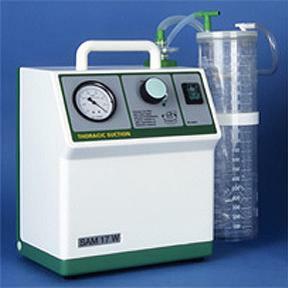 Portable device for suction removal of gas and liquid build-up from pleural space. 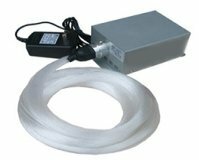 These self-contained units include high/low volume pump,multiple container and water seal collection system, and pressure gauge. 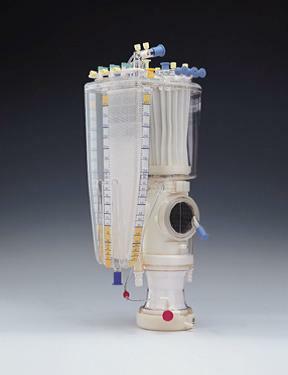 Two separate chest tubes inserted surgically, remove liquids and gases into drainage tubes after thoracic surgery, pneumothoracic wounds, chest trauma, etc. 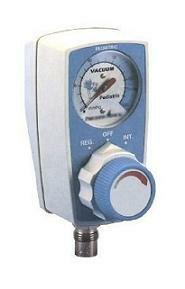 Deep vacuum suction for removal of large quantities of blood, fluid, and other material during surgery. 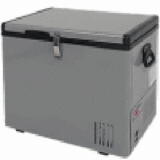 Blood bank refrigerators with temperature control and safety features for accurate temperature maintenance, for storage of whole blood, blood components, and reagents. 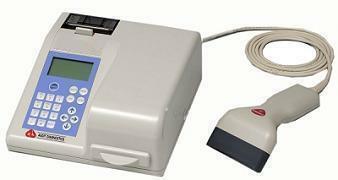 Special scales for measuring blood and blood mixtures. 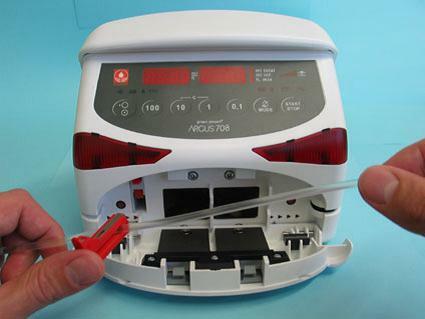 This device can either be used for preparation of blood solutions, or for evaluating blood loss during surgical procedures. 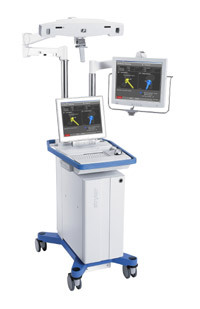 These systems can either stand alone, or be mounted onto mammographic radiography unit. 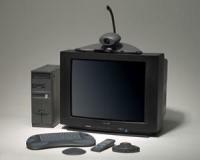 Some include a computerized system to communicate lesion coordinates for guiding the needle. 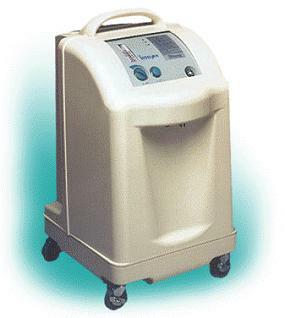 Lesion generators use a low end radio frequency current that is used for selectively removing tissues. This technique removes pain-carrying nerve fibers, and is used for treating trigeminal neuralgia, and severe lower back and leg pain. 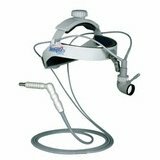 They can also be used in certain brain operations (for pain management in cancer patients), and in RF catheter ablation for certain cardiac arrhythmias triggered by bioelectric signals. 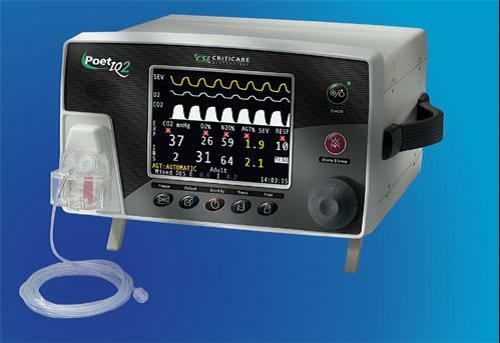 A system for monitoring and recording during cardiac catheterization procedures. 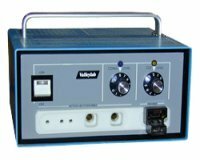 It is used to determine pressures in the heart chambers and great vessels, by amplifying and recording invasive and non-invasive signals including intracardiac electrodes, and blood pressure transducers.. This data enables calculation of many cardiac parameters, to identify pathological conditions, including heart and vascular functions,aorta, vena cava, and shunts flow and pressure, as well as size and severity of lesions. 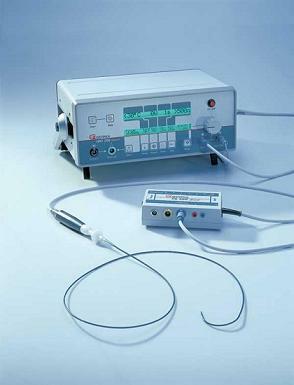 A device using indicator dilution technique ( thermodilution) to measure blood flow from the heart. 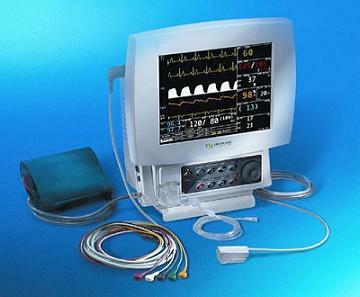 Cardiac output units use a balloon tipped, flow directed catheter with a thermistor placed in the right side of the heart. Output flow is measured. The thermistor signal is processed, and a thermal dilution curve is displayed from which various hemodynamic parameters can be determined. 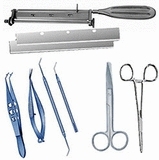 Maxillary and mandibular casts are usually attached to the articulator. The articulator elements determine the degree and limit of articulator movement, as well as the capability of the articulator to closely simulate the movement of the mandible. 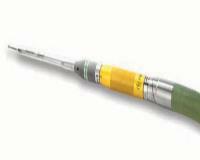 Used for dental restorative procedures, modeling and diagnosis, determining the position of an artificial dental prosthesis to obtain the best placement. 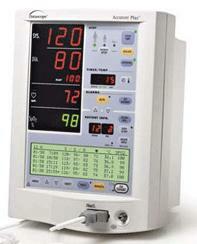 The device calculates the ratio between the blood pressure in the lower leg and the blood pressure in the arms. Intracorporeal lithotripters that use a generator-powered probe which is irrigated by saline while it fires energy pulses at the stone. The resulting plasma bubble causes a hydraulic wave. This fragments the stones, which can then be removed. 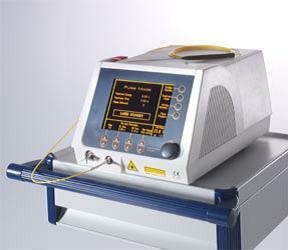 Devices using radiofrequency for non-invasive vein occlusion in venous diseases. 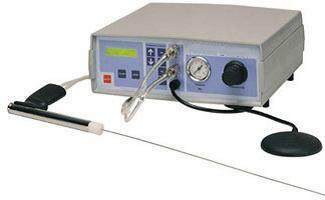 RF generators and catheters with electrodes are used to heat the vein walls to contract and shorten them. 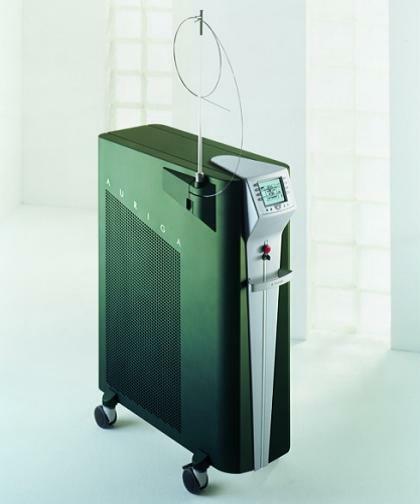 Or, Varicose Vein Treatment Ablation Systems use laser energy for the ablation of the varicose veins. 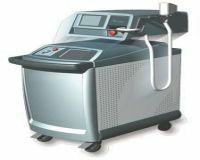 They enable minimally-invasive laser treatment for patients with superficial vein reflux of the greater saphenous vein. Third generation extracorporeal lithotripters use focused shock waves generated using a pressurized water-filled cylinder. This noninvasive treatment causes disintegration of kidney stones into small bits that are passed out of the body in the urine. 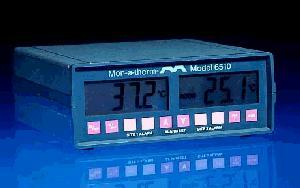 Isotope activity detector monitor. 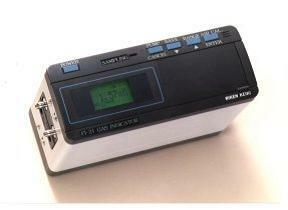 The detector and the monitor are intended to navigate radioactive sites in the body for navigating purposes. 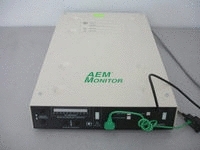 Defibrillators for continuous monitoring of cardiac rhythm, and identification of ventricular tachycardia or fibrillation. 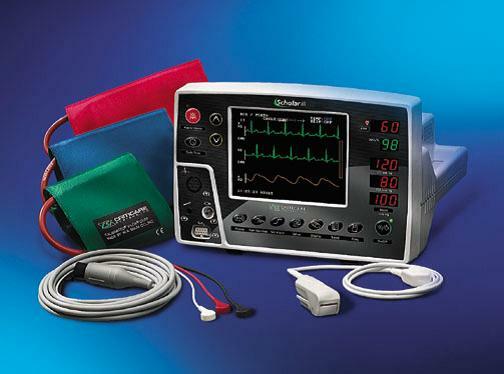 These battery operated and implantable ICD`s are designed to deliver corrective cardioversion or defibrillatory charges as necessary. 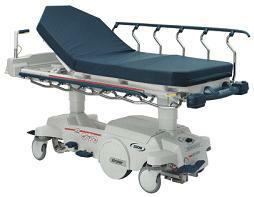 Antitachycardia and/or bradycardia pacing is possible with some devices. 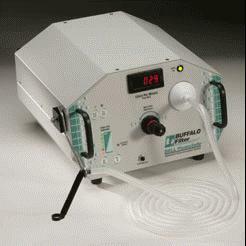 This device is used for treating of bleeding hemorrhoids by means of heat. 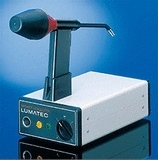 It uses a probe which emits IR energy into the hemorrhoid tissue, exposing it to a burst of infrared light for a short period of time (about 500-1500 ms). The coagulation of the veins above the hemorrhoid causes it to shrink and diminish. 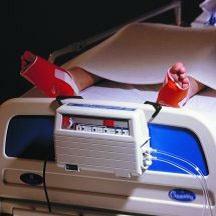 The procedure is generally painless, though the patient might feel a short sensation of heat. 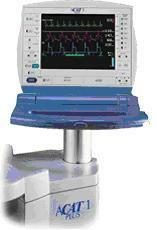 Devices used to improve cardiovascular functioning during life-threatening situations involving cardiac failure. 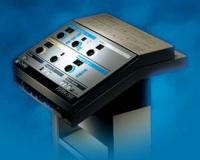 They increase coronary and cerebral blood flow by producing mechanical counterpulsation. 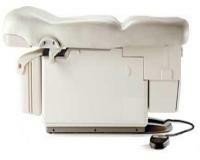 An inflatable balloon catheter is placed in the aorta. 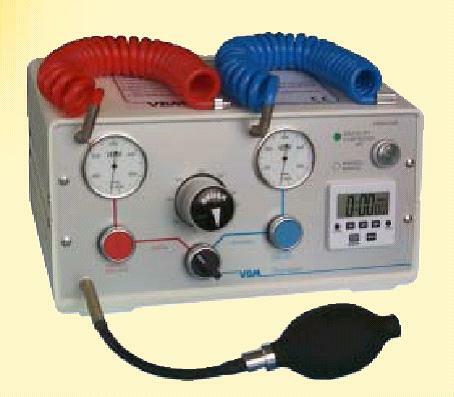 Automated inflation and deflation of the balloon is synchronized with cardiac cycle, regulated by an external pneumatic system. 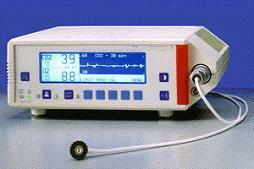 Physiological parameters of the patient are monitored, as well as balloon pressure and volume. Blood is forced towards the heart during diastolic phase. Intracorporeal lithotripters for kidney stone fragmentation. 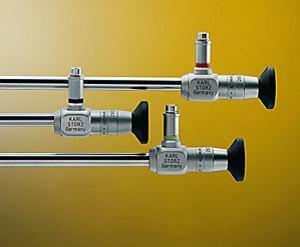 A probe with a vibrating metal end cap is powered by an electrohydraulic or pneumatic generator. 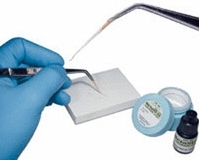 The probe is placed directly on the stone. The metal end cap strikes the stone, and its vibrations cause the stone to fragment. 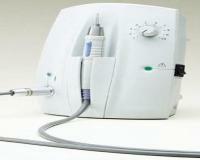 Ultrasonic scanning systems using high frequency miniature transducers mounted on a catheter, for intravascular use. 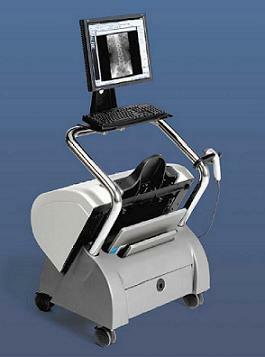 The system produces cross-sectional vessel imaging as well as Doppler flow measurements. 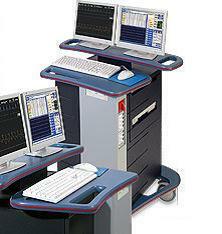 Main applications in cardiology and vascular surgery. 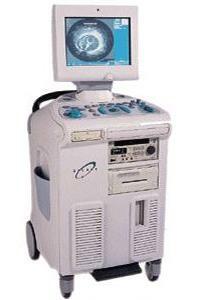 A system which provides solution for image guided surgery. 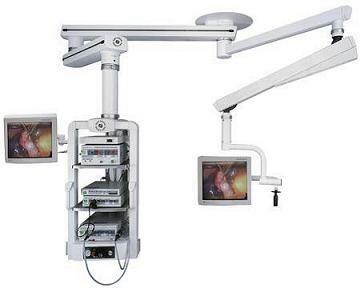 This system will track the motion of surgical tools in the operated field. 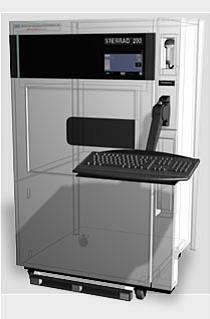 Each tool has its marker; the dual camera picks up the position of the markers and the position of the tool is displayed on the screen. 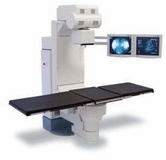 The MRI or CT image can be imported and superimposed on the screen. 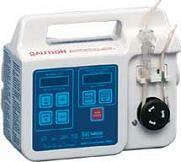 A device which is used for fast fluid infusion. 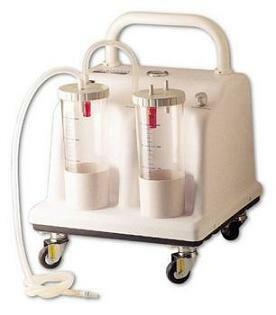 The function is achieved with the aid of pneumatic sleeve wrapped around the infusion bag and inflated by inpumped air. 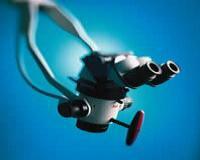 Cryosurgical units for general and opthalmic use, which cause target tissue freezing. 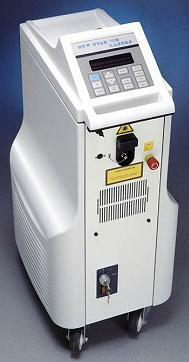 Units for cryosurgery procedures. 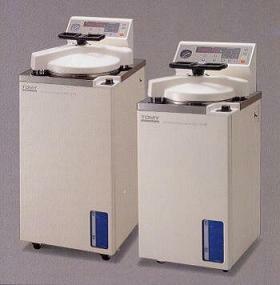 Tissue is targeted for freezing using a gas or liquid coolant(carbon dioxide, liquid nitrogen,or nitric oxide). 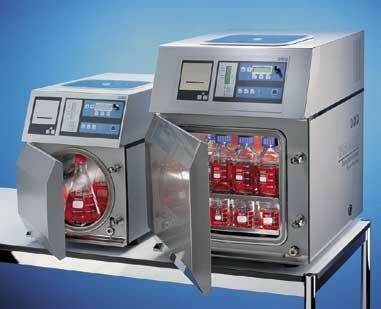 Freezing condition for tissue destruction is induced either by direct application or using a probe. 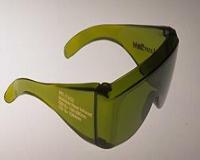 Intended for general purpose and opthalmic use, with handheld and console configurations. 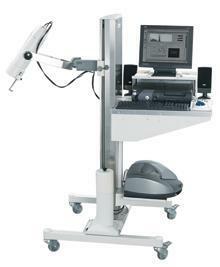 Opthalmic units for intracapsular cataract extraction are also included. 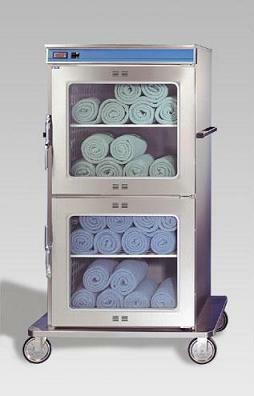 Containers used during the sterilization process. 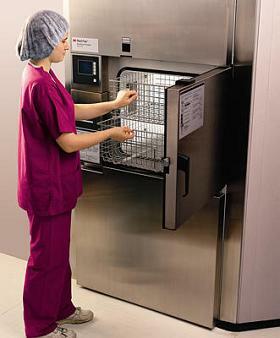 Sealed perforated boxes allow sterilizing agent to flow through, and filters for bacteria control sterility of contents. 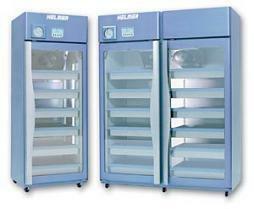 These containers are also used for post- sterilization and pre-use storage. 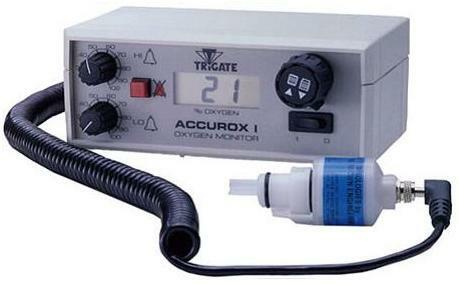 A device for aspiration of liquids and gas combined with a device which produces air pressure. 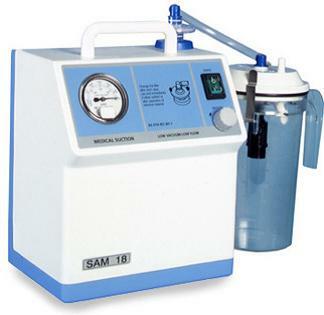 A device for aspiration of liquids and gas combined with a device which produces air pressure. 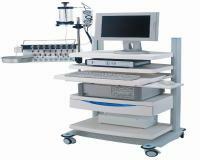 The system is incorporated into a single cabinet for use in Otolaryngology. 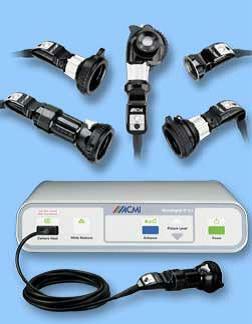 Cameras that are used during surgery for documentation purposes. 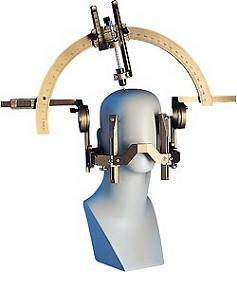 They can be either photo or cine cameras, some with a flash and sterile covering. 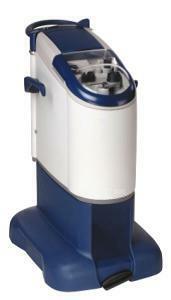 This device is aimed to assist the users in producing an even and uniform spray of liquid used for tissue adhesiveness and controlling oozing of blood during surgery. 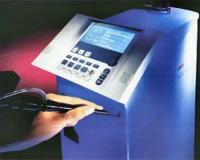 The device is a dedicated control unit that uses pressurized gas for uniform spray delivery and mixing. 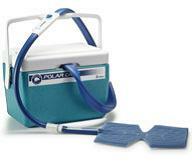 It assists in delivering the fibrin sealant, in the needed amount to the exact location. 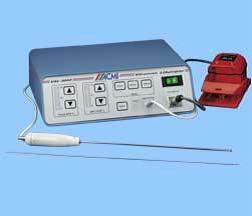 A device used in surgical practice for fast freezing of samples and tissues. 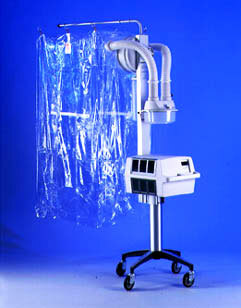 Smoke evacuation systems are suitable for use during various surgical procedures, to capture smoke which may contain potentially hazardous materials. 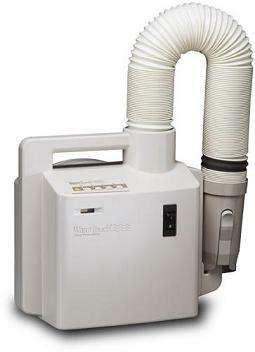 The smoke plume that is not evacuated can release airborne particles which can be inhaled by the surgical team causing unwanted side effects. 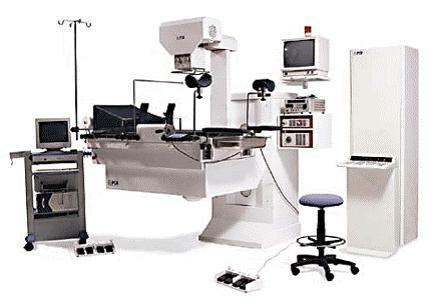 Ultrasound systems for use in angioplasty procedures, generally used in cases of total occlusion and calcified plaques. 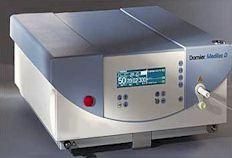 Ultrasonic waves are produced, and energy is transmitted into the artery to treat narrowing of vessels using specially designed transducers. 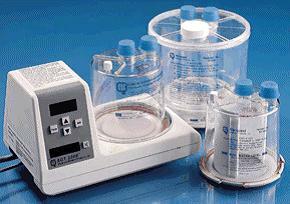 A system intended for fragmentation, lysing and removal of the occluding substances in the arteries. 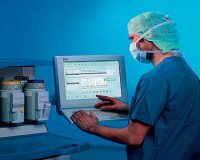 Lysing process can be achieved either by chemical methods, by applying lysing material (like Heparin) directly to the thrombus, or by using a physical means e.g. 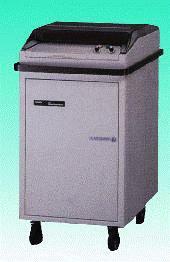 Ultrasound, High Pressure jet, Radiation etc. 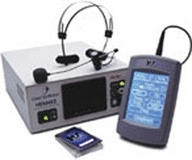 Computerized systems for assessing thyroid gland activity. 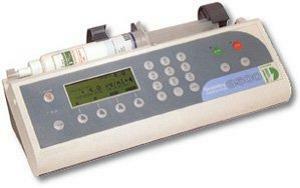 Radioactive iodine is ingested, and thyroid uptake is measured by using scintillation crystal detectors and photomultiplier tube. 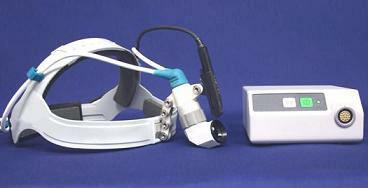 Intracorporeal lithotripters fragment kidney stones by putting them in direct contact witha vibrating probe. 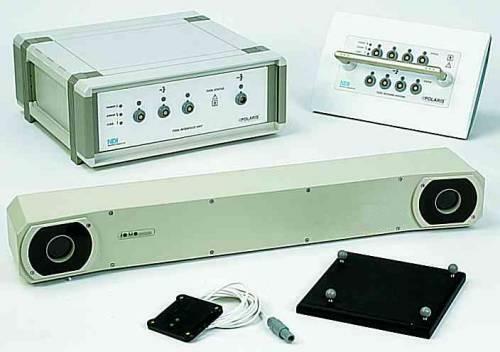 An external generator produces high-frequency soundwaves which are converted into vibrations by a transducer . 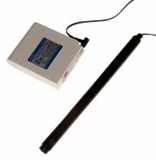 These vibrations are carried through the hollow probe. 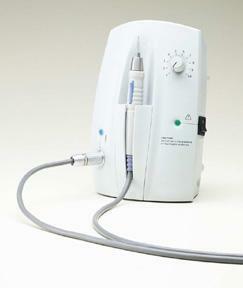 In some of the units, stone fragments are aspirated through the probe using a suction pump. 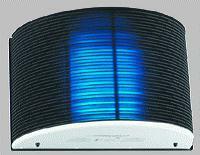 UV lights with one or more low-pressure mercury vapor tubes. 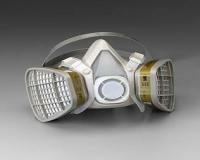 They are used to prevent the spread of pathogens, by reducing the concentration of airborne microorganisms. 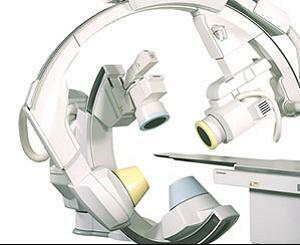 An imaging table for medical examination and urological imaging procedures. 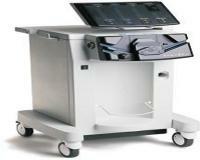 The imaging tables are comprised of a base frame, some are on wheels, and a column where the table top is mounted. 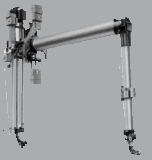 Some have a tilt assembly which includes a pair of leg arms. 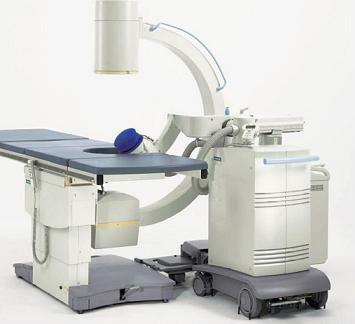 A radiolucent table top for imaging purposes is standard in most of the tables. This is a carbon fiber table top, which is transparent to X-ray. 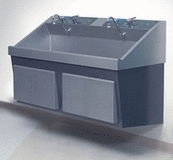 A carbon fire extension can be added to enlarge the length of the table. 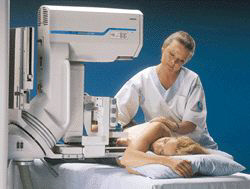 Imaging can be obtained with the aid of a mobile X-ray or a C-arm imaging unit. 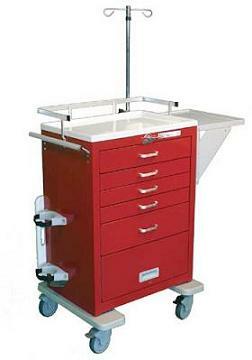 Many of the tables can be used by other medical disciplines. 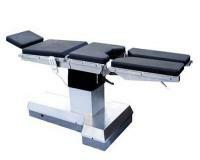 Urological tables for radiographic procedures. 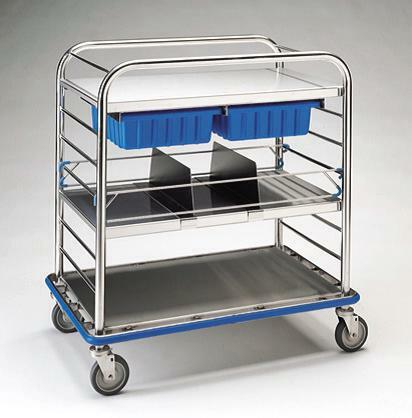 These R/F systems have a wide range of tilting and movement capabilities. 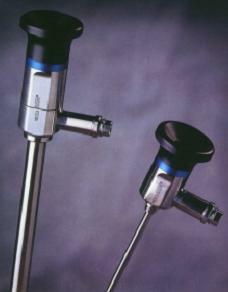 They are used for endoscopic procedures in the urinary tract, and various other diagnostic and surgical procedures. 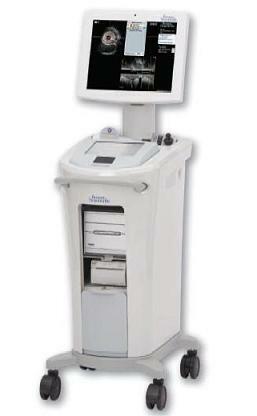 A wide range of height/tilt positions can be achieved, including tilt needed for urological radiographic procedures. 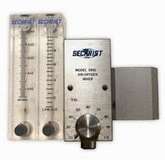 High vacuum linepowered suction devices with a fine curet, used to remove gases, fluids, and tissue from the uterus. 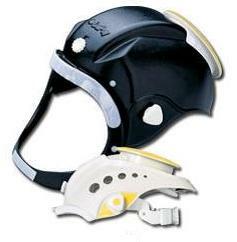 May be used for diagnostic purposes, dilation, and evacuation therapy. 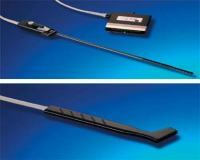 These devices use special emitted light to locate blood vessels. 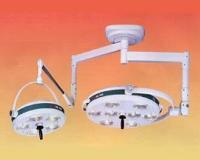 Two kinds of LED lights are used, for peripheral veins and for deep vein localization. 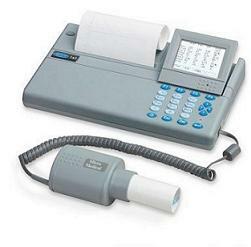 The hand held device is used by IV teams and other blood drawing professionals, to assist them with veins localization in infant, elderly and mainly obese patients. 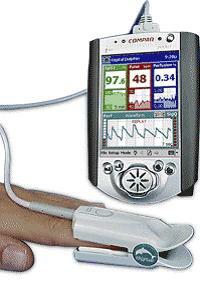 A pump mechanism designed to improve blood circulation in patients with heart failure, as a temporary measure. 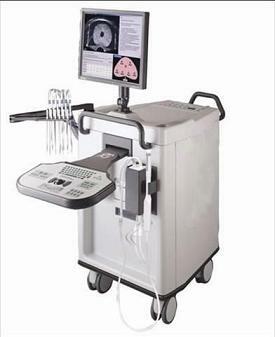 Left or right ventricles are assisted using a cannulae for drawing venous blood, and a pump for delivery to aorta or pulmonary artery. 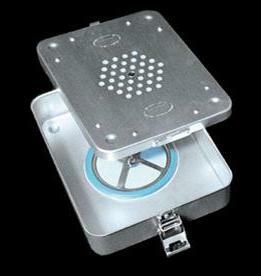 A box with an electrical light source, and a light diffusion screen. 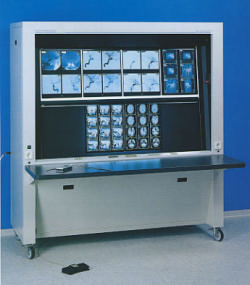 The screen is homogeneously illuminated and enables the examination of film sheets with medical images produced by a variety of modalities.